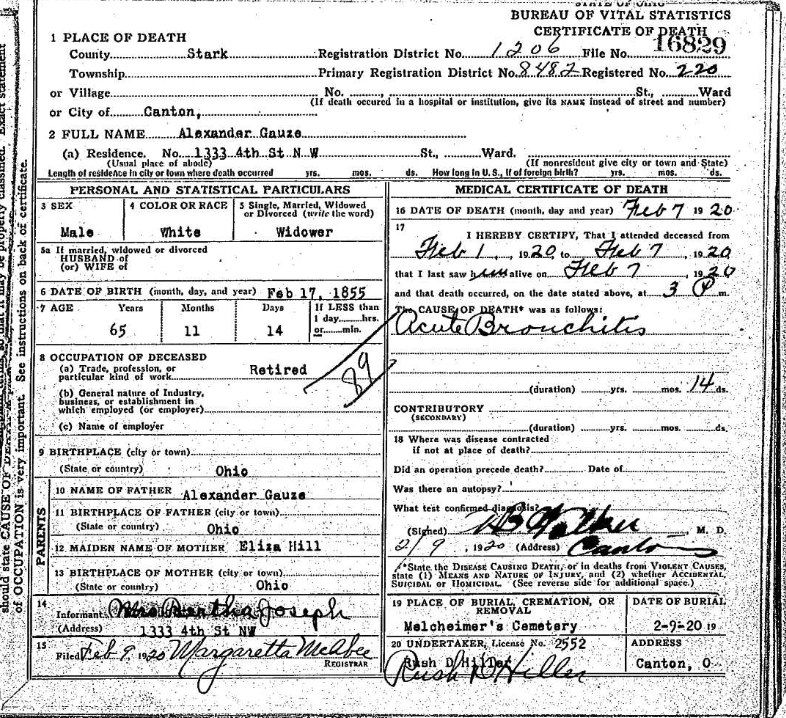 While reading about black-sheep and skeletons recently, I was reminded of my DOSS and CLONCH lines in Mason County, West Virginia. 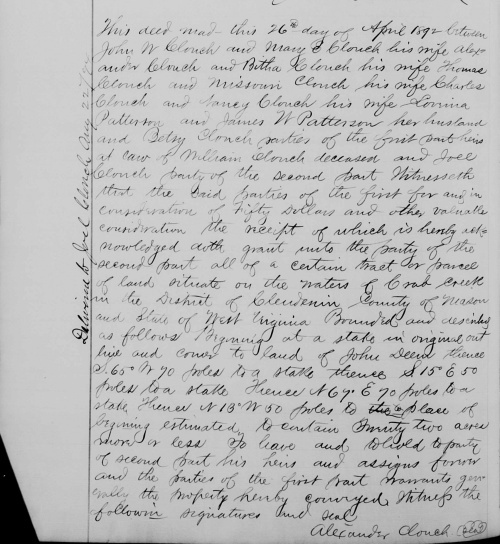 Lavina DOSS, daughter of James DOSS Jr. and Elizabeth LESTER, lived in Pittsylvania County, Virginia, with four known and possibly three unknown children (per 1830 and 1840 census). The children were born out of wedlock as Lavina never married. 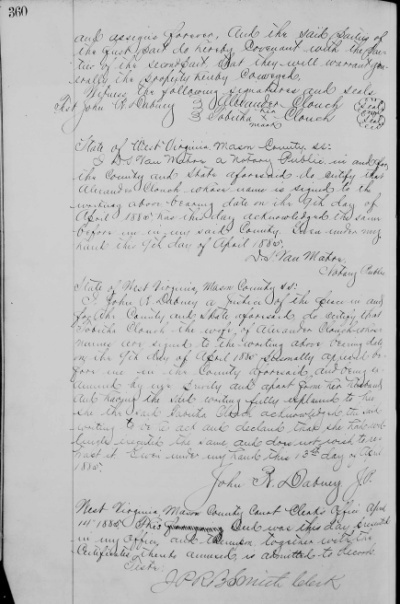 Two of her children, William and Polly, went to live in Mason County, (West) Virginia, before 1840. 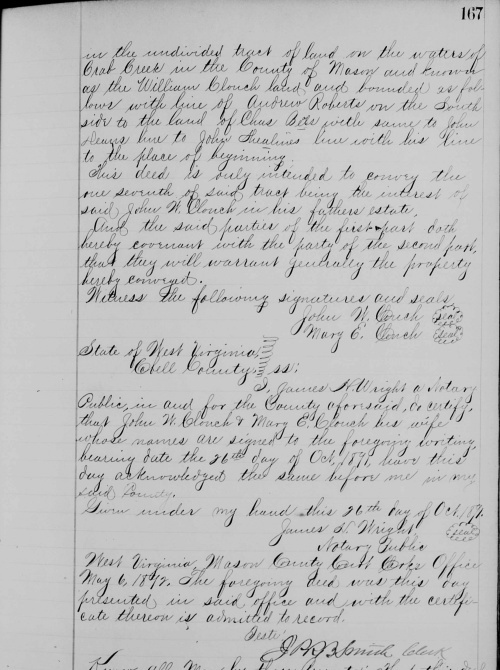 Mary E. “Polly” DOSS, like her mother Lavina, also had all of her children out of wedlock. 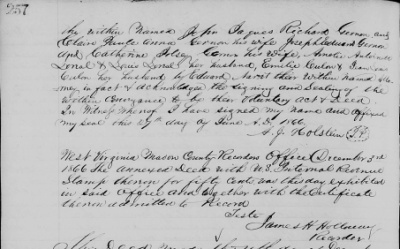 The children are mentioned in the will of William CLONCH dated 17 January 1863. 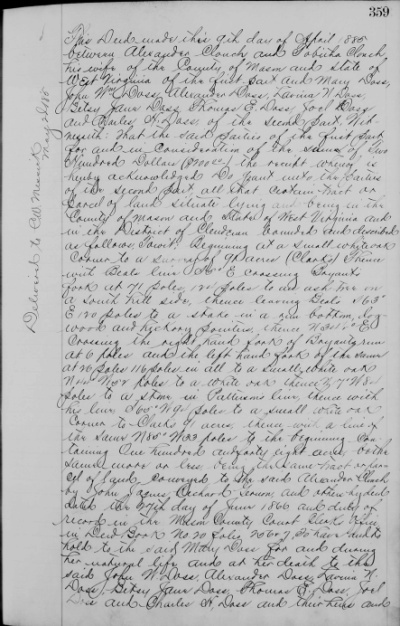 He wrote, “I do wish to will my Land to Mary Doss and her Children John William Doss, Alexander Doss, Loving Ann Doss, Elizabeth Jane Doss, Thomas Eli Doss, Joel Doss and Charles Henry Doss”. 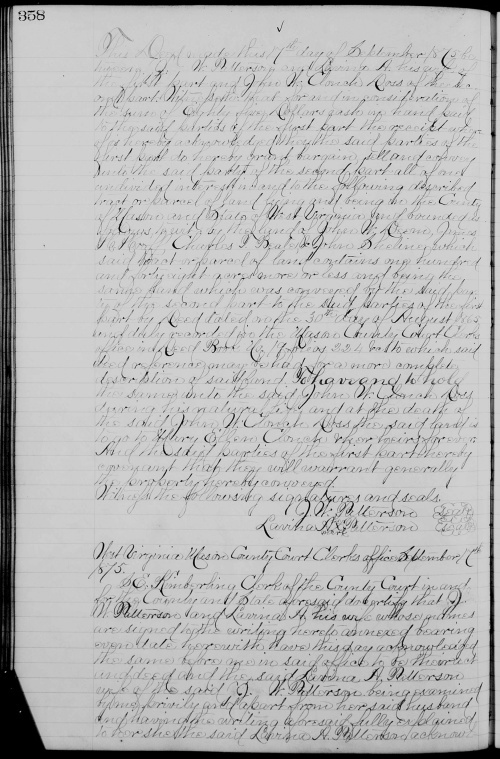 William did not write “my” or “our” when he named the children in his will. All of the boys used the CLONCH surname after their father’s death. Mary DOSS also used the CLONCH name after William’s death. She could not marry William CLONCH as he was still married to another woman. 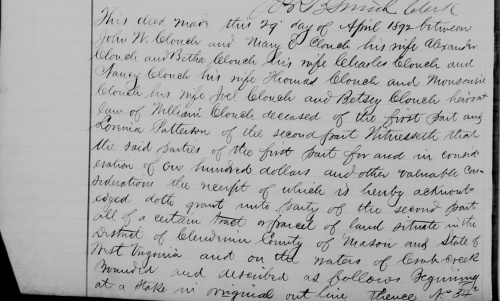 William CLONCH married Ann Eliza HILL on 20 Aug 1832 in Gallia County, Ohio. They had one child Mariah Jane CLONCH mentioned in his will. 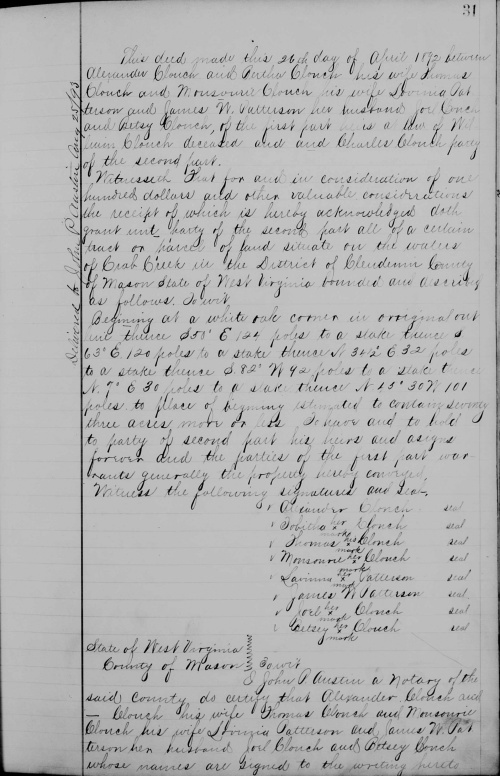 They may have had a son named Dennis CLONCH (named after William’s father and seen with William’s mother in 1850) but he was not mentioned in the will. 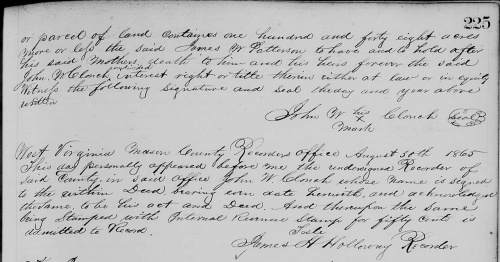 Dennis appears to have begun using the HILL surname about 1862 when he enlisted to serve during the Civil War. 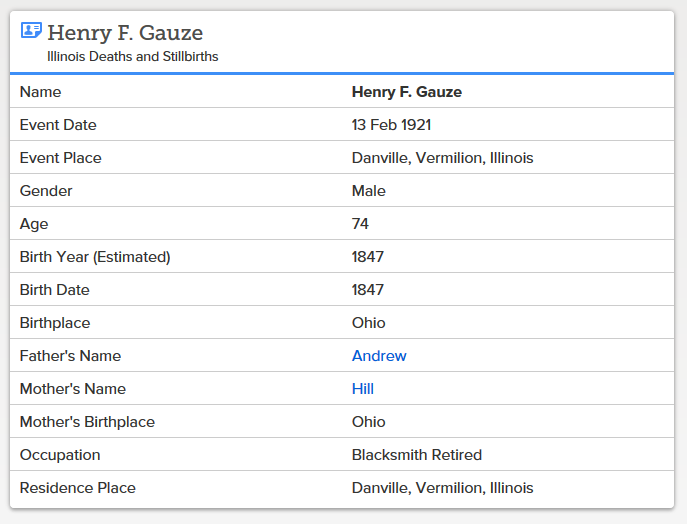 Could it be that he was a son of Ann Eliza HILL and another man? 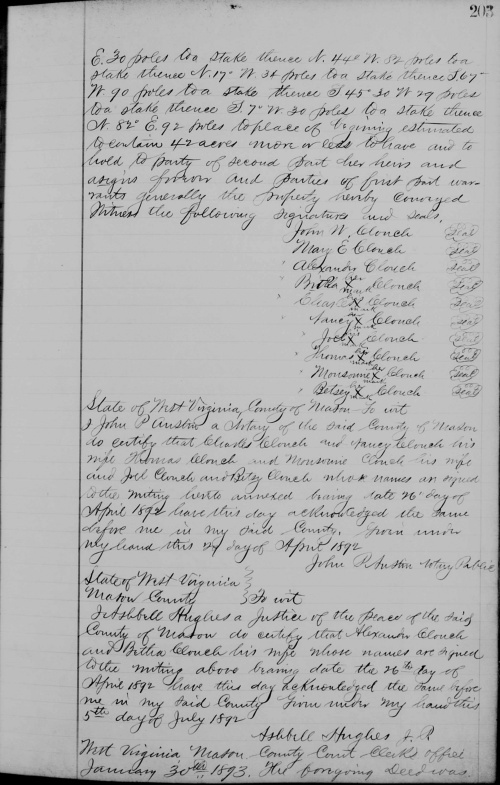 “Eliza Claunch” had her own household in 1840 and had two more children before she married Andrew GAUSE on 26 March 1842 in Kanawha County, (West) Virginia. 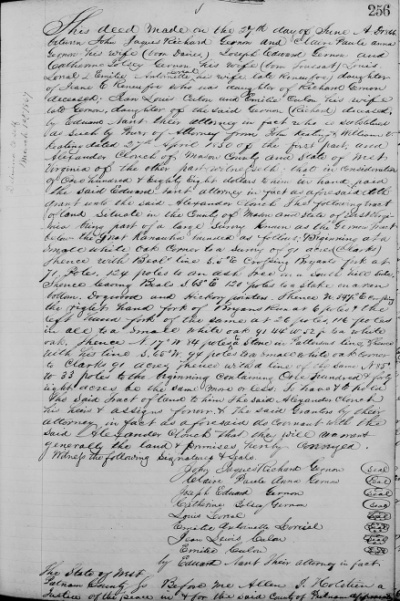 The bride was listed as Anna Eliza Claunch, widow of Wm. C. Claunch. William did not die nor was he divorced from Anna Eliza. 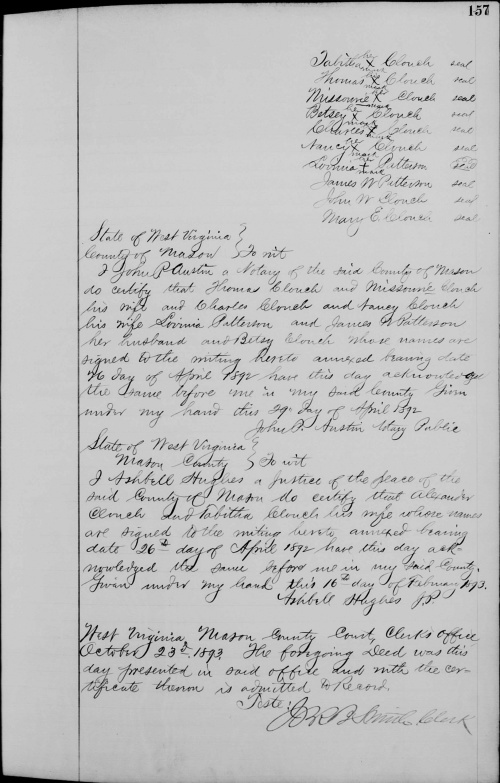 William was living with another woman (most likely Mary DOSS) and his daughter Mariah from his marriage to Anna Eliza in 1840. 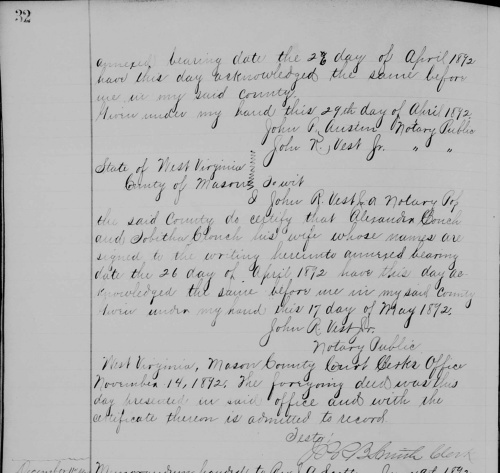 Was Ann Eliza Hill who married 1st William CLONCH and 2nd Andrew GAUSE a bigamist? Or could there have been a divorce and papers have not yet been found?